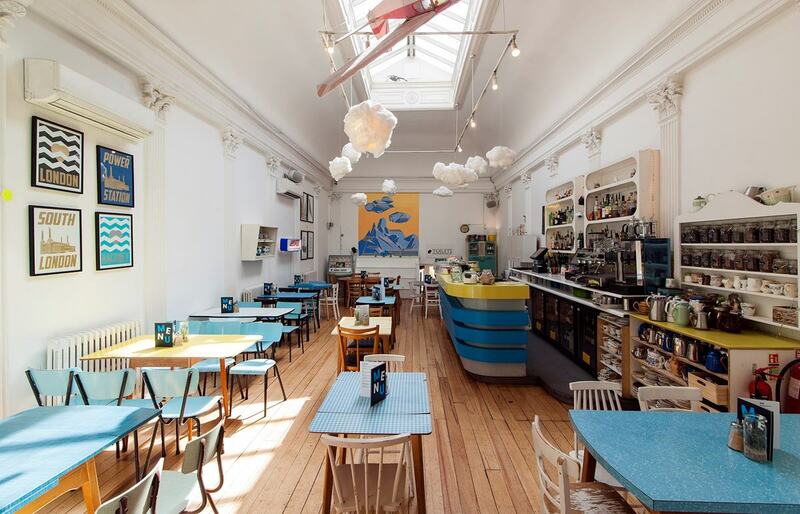 Drink, Shop & Do is a venue of two halves, both brilliant, both very different. 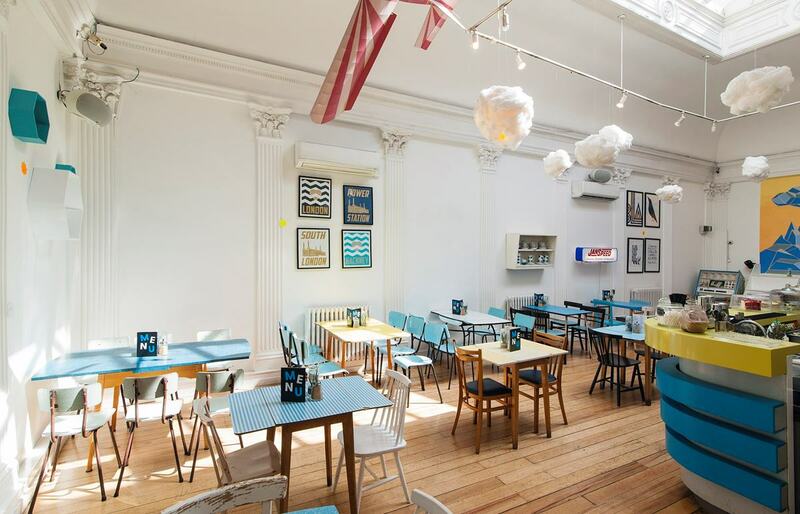 The first is a light, bright café, jam-packed with multi-coloured paper balloons, taxidermy and sweets. They host imaginative day-play events for adults, like 'Bloody Marys & Boardgames', 'Benedict Cumberbatch Colour-Ins', and temporary tattoo parlours. 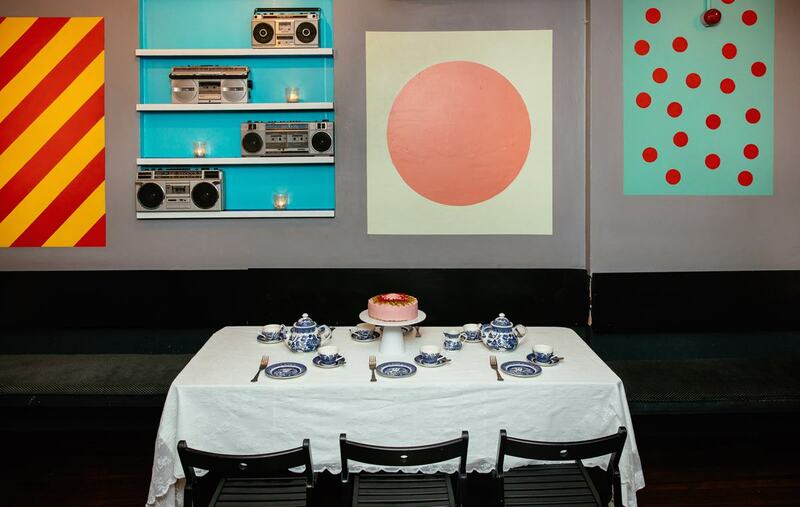 The space itself is a whirlwind of arts-and-crafts colour and flair, speckled with homemade cakes and terracotta trinkets. Its long, rustic, wooden floorboards mean that the space can transform into an elegant and understated setting for many events, like workshops, private dining, product launches and birthday parties. Downstairs, below the red staircase, is a different story. It's called The Steam Room, a reference to the building's former Victorian bathhouse days. 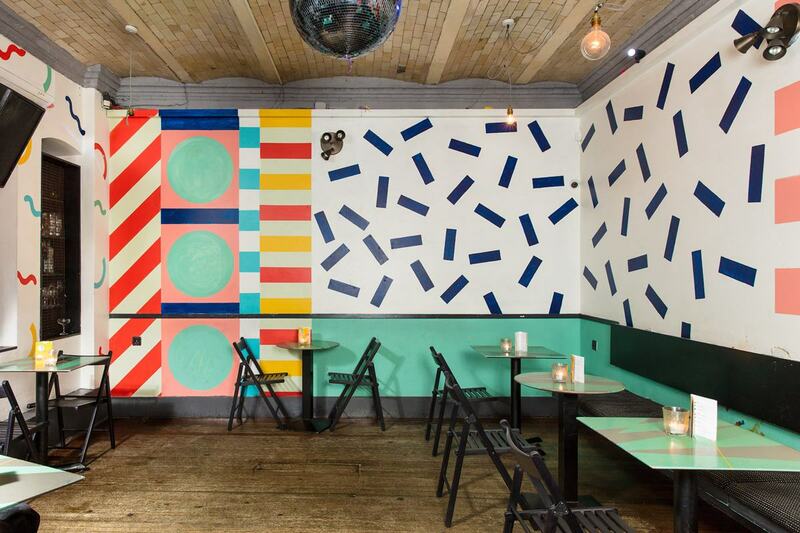 This is another inviting space for team-building and mingling – this time surrounded by colourful walls printed with geometric shapes and abstract patterns. As you absorb the modern art, you can spend the afternoon sampling baked delicacies during an afternoon tea, with nibbles presented on traditional Victorian-era porcelain. Later, parties can continue with cocktails and canapés and dancing under the black glitter ball. This is the place where creative Londoners congregate every Friday night, boogying to old skool tracks and dance-filler classics. The traditional features of the bathhouse shine through the venue's kaleidoscopic decorations, forming a cross-century fusion of opulence and quirkiness. Drink, Shop, Do, hire. 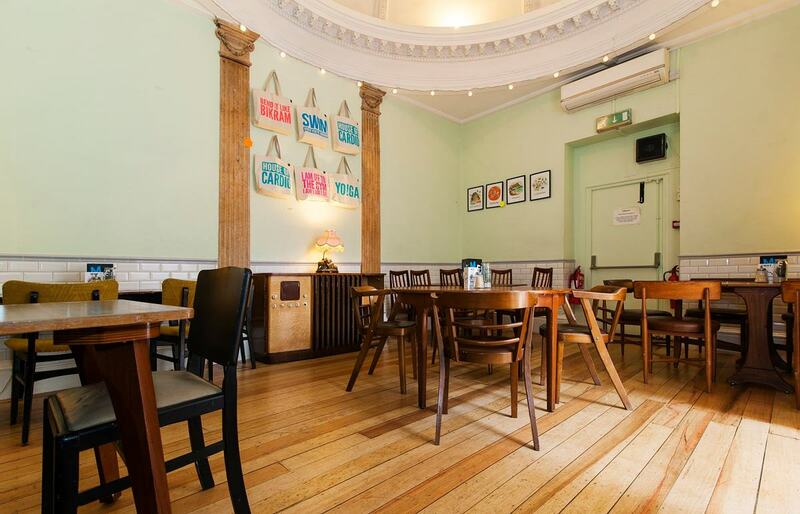 Your event could flourish in this totally brilliant venue. Read more about Drink, Shop & Do, and make an enquiry for your next event, right here.